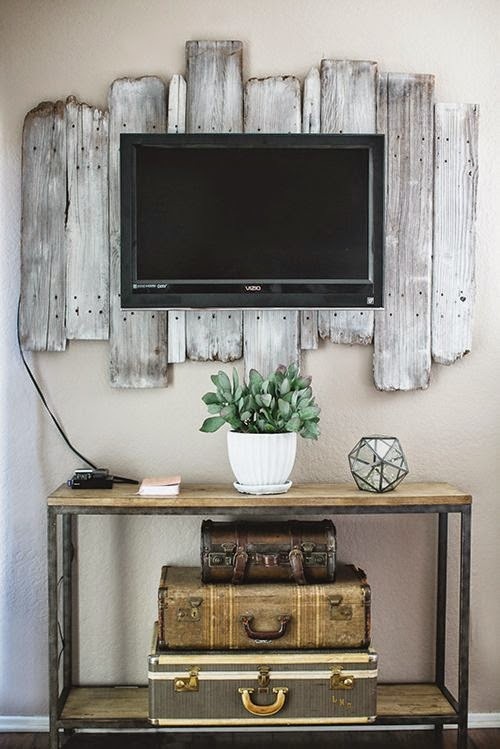 Jode Designs: DIY Day - Style the TV on the wall..
A TV (as much as we don't like to admit it) has become an essential item in any home these days.. And now that the 'digital' world has taken over, long gone are those big boxed TV's and flat screens are the way to go! 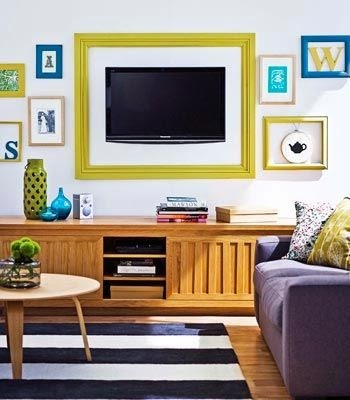 But having a large flat TV sitting on a cabinet just doesn't sit right to me (especially with little kiddies) they look like they will tumble at any time.. And since the are not the most beautiful item why not add some style with today's DIY mission.. 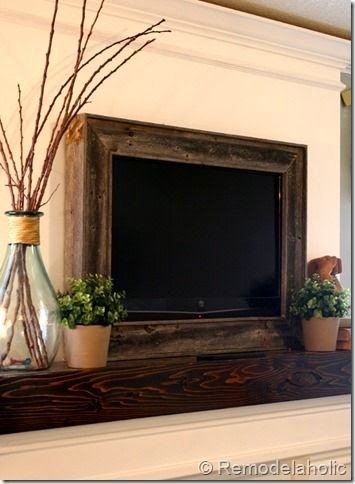 Style the TV on the wall..
First option is to put some driftwood or stylish timber behind it.. 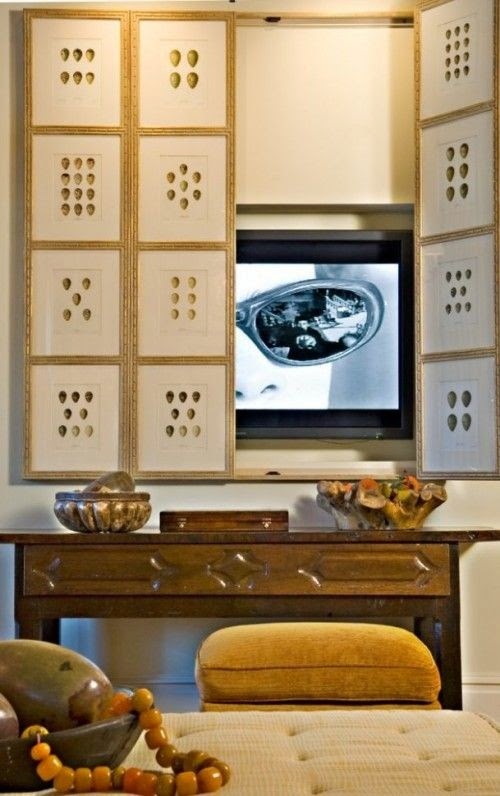 It not only helps keep all the cords hidden but the jacquard edges of the timber takes away the 'square' look of the TV.. 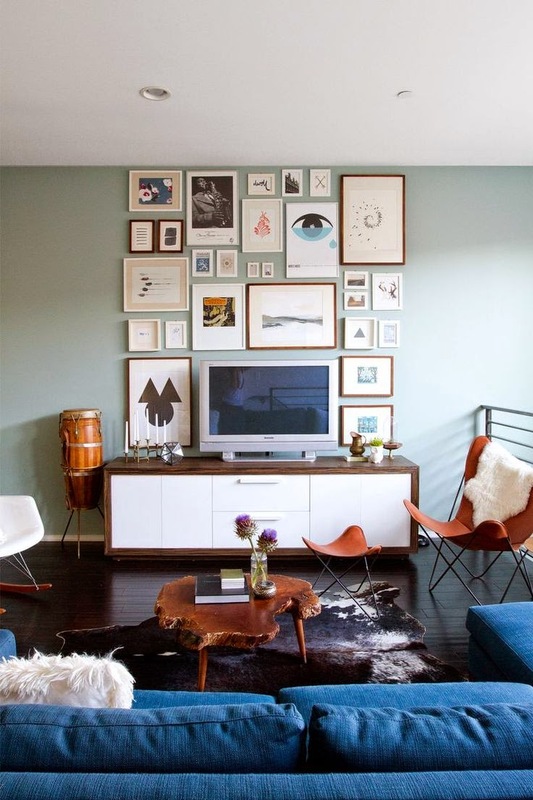 Create a gallery wall.. 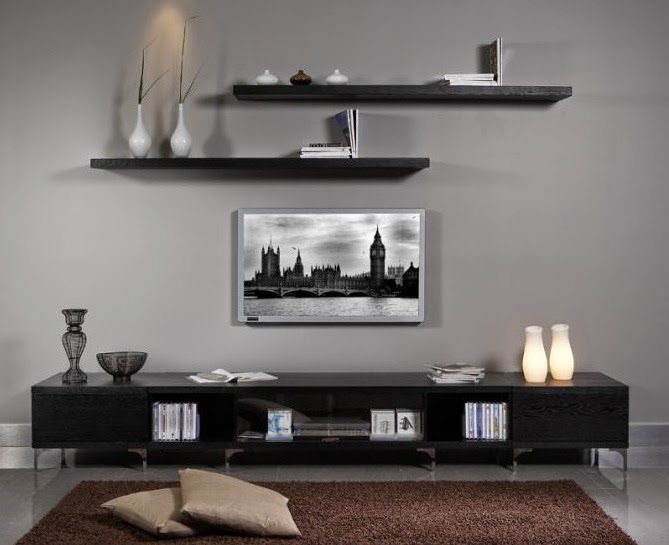 I love gallery walls as you can change them to suit your season..
And these walls framing a TV are so very stylish!.. 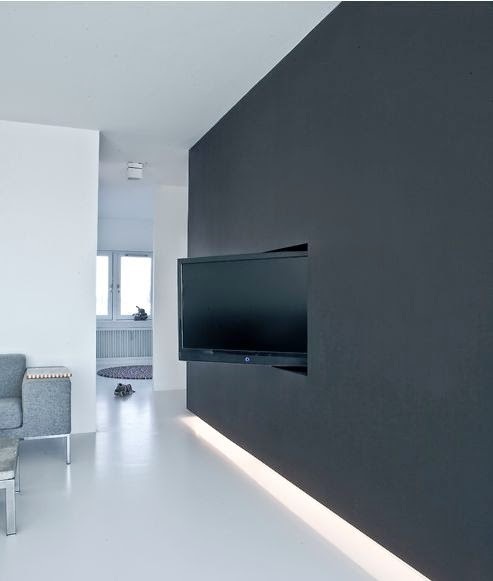 Paint the wall black.. Ummmm MIND BLOWN!.. 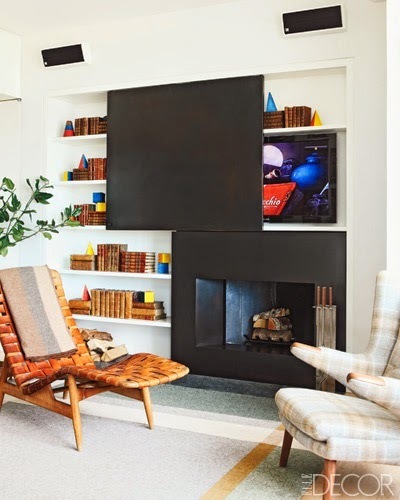 I love this idea.. Not only does it make the TV disappear but it adds a modern sleek look to the room..
Add some bookshelves.. this will even out the heaviness of the TV along the wall and draw your eye away from the black box.. 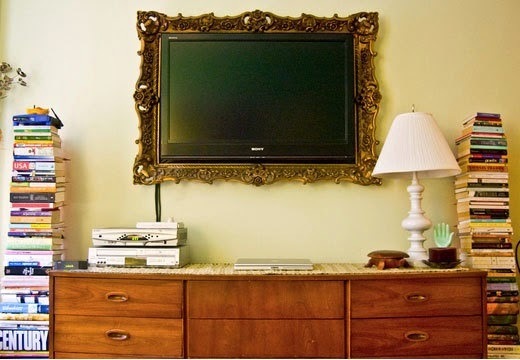 Hide it.. 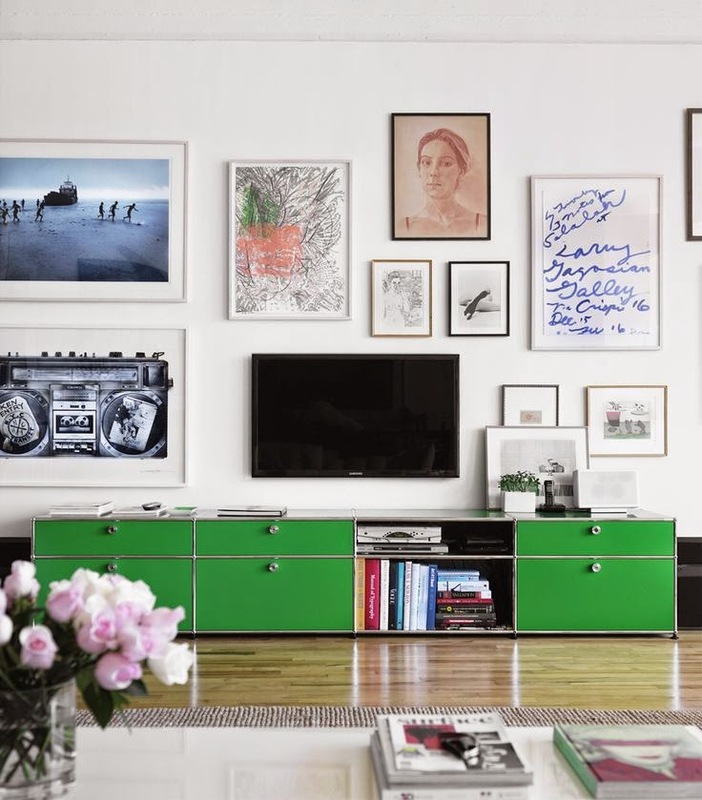 Such a simple option.. And I am sure there are so many ways to do this.. 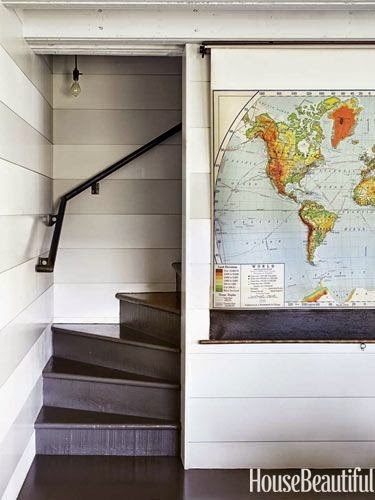 But I love the though of using an old map, fashionable artwork or an antique cabinet..
And lastly, why not simply frame it.. 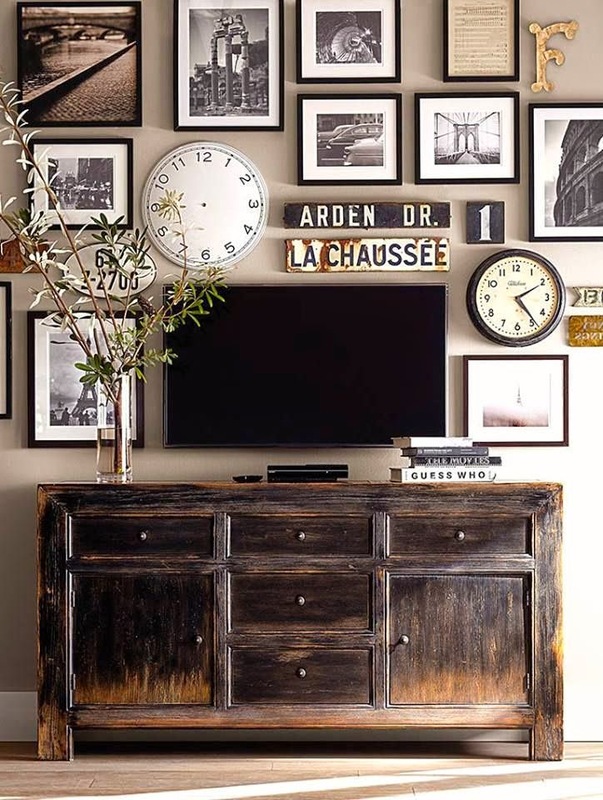 This is a great way to add texture or colour to a room.. Use a secondhand antique one or if you are handy then whip up one of your own..
And if you are not in a position to put the TV on the wall.. You can still make it stylish with these great ideas.. 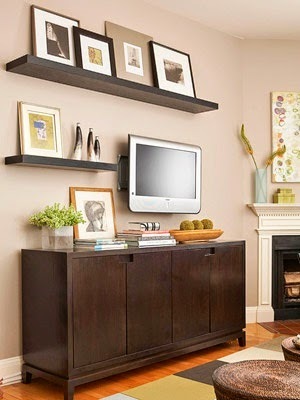 Create a gallery around the TV and cabinet..
Get a low lying cabinet and fill in the space above.. 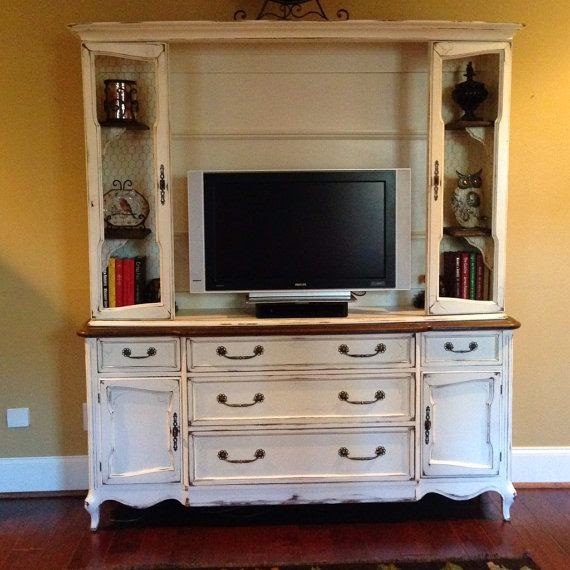 Restore an old antique cabinet and place the TV inside..